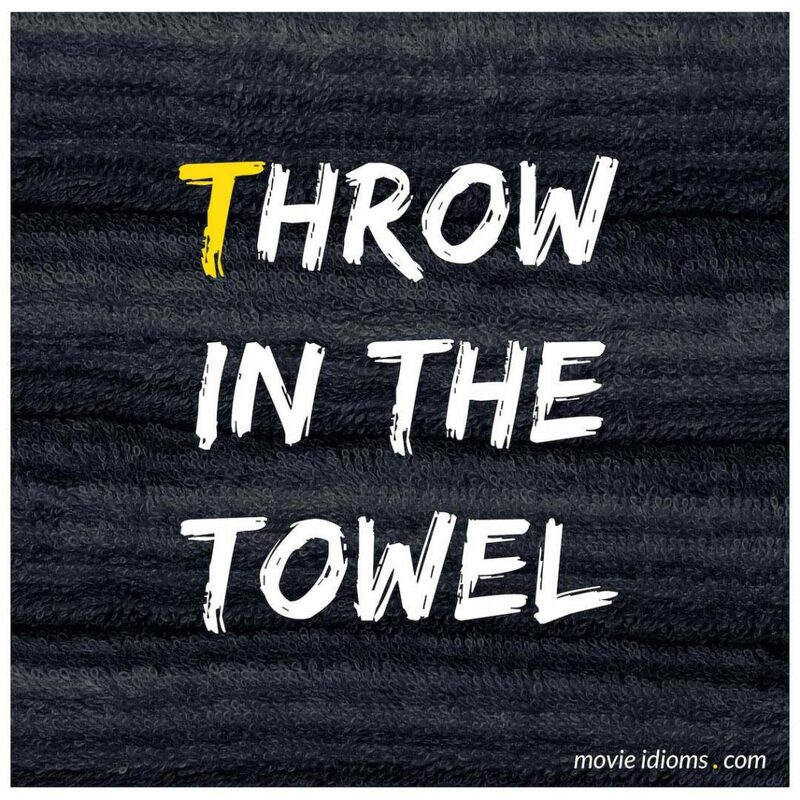 What does throw in the towel mean? Psychiatrist: Why did you try suicide? Lucas: Well, you know, when it comes to survival of the fittest, I just have to throw in the towel, I guess. Psychiatrist: But you’re not an animal, Lucas. You’re a human being. You live in highly developed society that has all kinds of buffers and security nets that are designed to break your fall. Lucas: No, I don’t follow the rules of civilization anymore. I’m outside. I’m an animal. Clara: Well don’t throw in the towel yet, Agnes, dear. Those tranquilizers may see us through yet. Victoria: This is all they have. Toddy: This? The last time I saw a specimen like this, they had to shoot the horse! Waiter: How lucky can you get? In one evening a Rockefeller and a Groucho Marx. Toddy: Oh, they didn’t shoot a real horse. Just a costume with two waiters in it. Waiter: I shall think of a sharp retort while I am getting your roast chicken. Toddy: It’s a wise man who knows when to throw in the towel. Waiter: And it is a moron who gives advice to a horse’s arse.